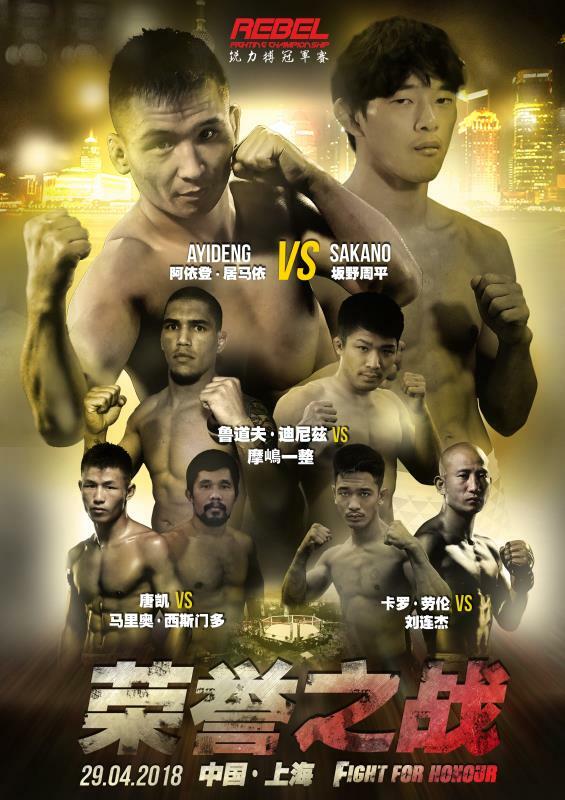 Heart-pounding professional MMA action from Singapore's Rebel FC, returning to Shanghai. This year, Rebel FC is not letting up in its relentless drive to mould Chinese champions as well as launching international stars into superstardom, hosting four main bouts parading an even mix of Chinese athletes and global fighters. The event returns to the luxurious Kerry Hotel for a touch of elegance as their athletes duke it out to attain the highest honour one can achieve –triumphing in front of thousands and to be remembered for a lifetime. Four bouts: two featherweights and two bantamweights, featuring Rebel FC Bantamweight champion, Ayideng Jumayi of China.